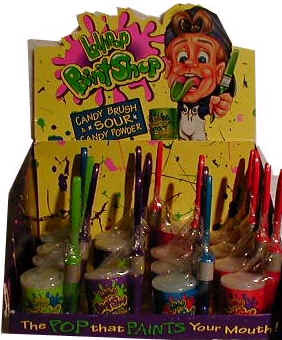 Lollipop Paint Shop Doubles Candy 20ct Display Box - The MORE you order the more you SAVE on shipping ! Be sure to check your Paid Invoice for the Monthly discount COUPONS. It’s double the fun with Lollipop Paint Shop Doubles®. 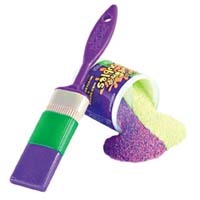 Two flavors of candy on your paintbrush lollipop and two flavors of powdered candy paint make this Lollipop Paint Shop your favorite double dippin’ delight in 5 delicious flavor combinations!